Microsoft named Satya Nadella as its next CEO a little over a week ago following an extensive search that spanned several months. During that time, multiple names made headlines as potential candidates to replace Steve Balmer but there’s one underdog you likely didn’t hear much about: Conan O’Brien. The late-night comedian on Tuesday penned a post on LinkedIn explaining how he would have run a “scrappy start-up” like Microsoft. It would have been as easy as booting up Windows 98 on his Compaq Presario and winning a game of Mindsweeper, O’Brien quipped. His plan for turning Microsoft back into a powerhouse like Commodore would have been simple and can be broken down using a basic three-point action plan. Elsewhere, the comedian said he would include a new accessory with Surface tablets called the “Tiny Windshield Wipers” and that all versions of Windows would be voiced by Scarlett Johansson. Excel 2014 would have built-in Instagram filters and hundreds of millions of dollars would have been spent on a marketing campaign to get everyone in the US to “Bing their symptoms” after that weekend trip to Juarez. But, Conan didn’t get the Microsoft job despite sending an Edible Arrangement to Microsoft’s Redmond, Washington, campus and once receiving a tweet from Bill Gates. 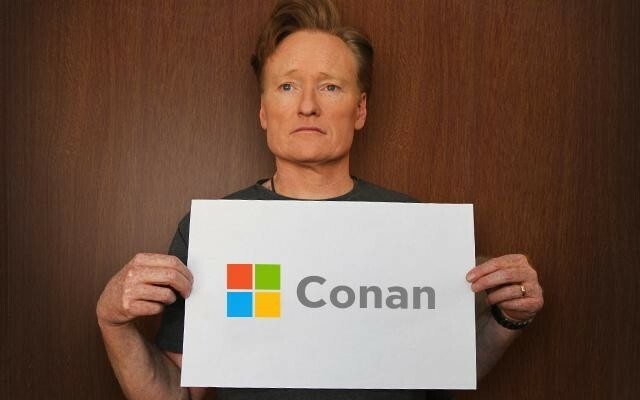 Instead, he turned it down because he was pretty sure that Microsoft wouldn't let him rename the company "CONAN." He isn’t bitter, however, and is confident that Nadella was the right second choice for the gig.